Amy VanKirk is an Assistant Professor of Dance at Radford University where she teaches jazz, modern, tap, musical theatre, composition, dance appreciation, freshman seminar, and senior seminar. While at Radford she has created numerous original pieces of choreography and her work has been showcased at the American College Dance Association Mid-Atlantic Region, the New York Jazz Choreography Project, and at various other universities. Amy received her MFA in Dance with a dual emphasis in choreography and performance from the University of Arizona. While in Arizona she enjoyed performing, choreographing, and directing and was able to train with James Clouser, Douglas Nielsen, Michael Williams, and Sam Watson. Amy also had the opportunity to serve as the rehearsal assistant for Ann Reinking and Gary Chryst, and as the assistant to the director for the Arizona Jazz Dance Showcase. Before pursuing a graduate degree Amy worked for Royal Caribbean Cruise Lines as a dancer, dance captain, and rehearsal director. During her tenure with Royal Caribbean she performed in numerous shows and traveled the world. Amy received her Bachelor of Fine Arts in Dance from the University at Buffalo and was a member of the celebrated Zodiaque Dance Company. She is also a certified Ultra Barre℠ Instructor. Amy continues to work as a freelance performer and choreographer throughout the United States. 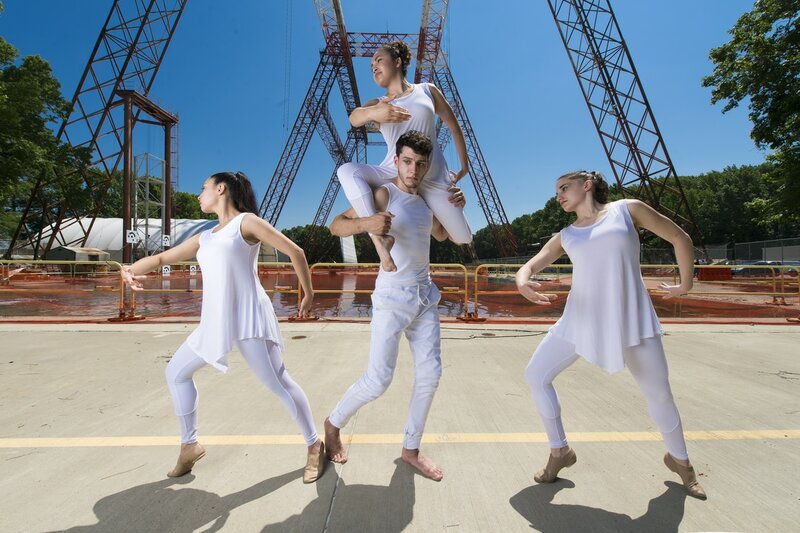 Collaboration with NASA: "Remember the Future"
Remember the Future, a premiere dance work, was inspired by the storied history and major accomplishments of NASA Langley Research Center as it celebrates its Centennial. The work was created based on interviews with ten subject matter experts, including current and former scientists and engineers working at Langley in the areas of Earth science, aeronautics, Mars exploration, and spaceflight projects. The piece features an original musical score and video component utilizing the NASA archives. The performance was a part of the Langley Tribute Celebration held at the Ferguson Center for the Arts in Newport News, VA.